Direct and intuitive 3D control of the focal plane. 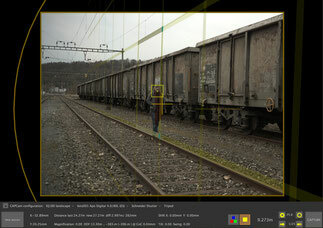 Tilt and shift by dragging the grid on the screen. Immediate visual feedback. AAF assisted automatic focussing - no metering required. Aquires a stack of images with different focus while preserving parallel alignment of the tilted/shifted focal plane. Select three optimal focussed spots from three images (e.g. out of a focus bracketting) and let the CAcam calculate the perfect final shot. Fully supporting high quality live video of newer digital backs. Immediate visual feedback. 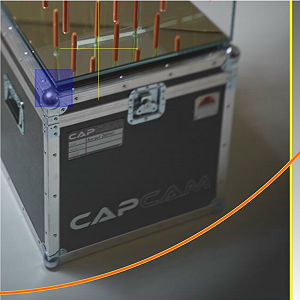 CAPcam comes with application software for OSX and Windows. Focus handles (red green blue) allow to control the focus on three user definable spots. They can be set anywhere in the image. 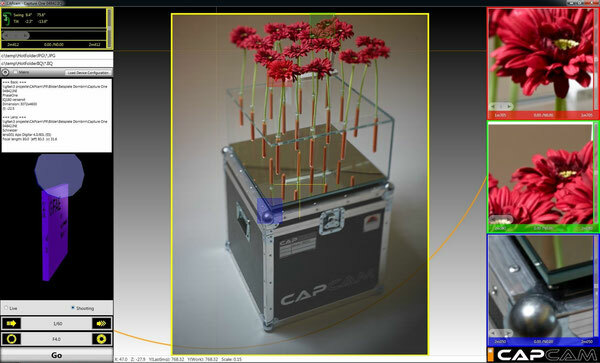 The value on the left indicates the distance in the previously captured image. 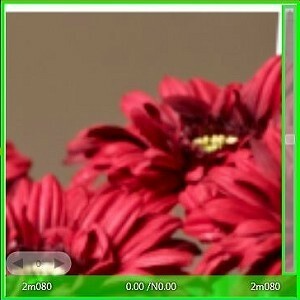 The value on the right side indicates the distance for the next image. The value in between is the difference between next and last image. The image circle indicates the region which is illuminated. Outside areas are clipped due to vignetting of the lens. 'Go' starts the capture process. The camera does realign according to the chosen settings. 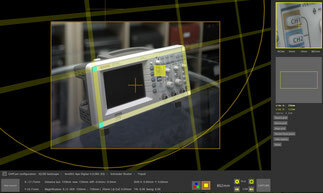 Using the optional CAPcam-Schneider shutter control, the shutter is automatically triggered with the selected speed / aperture. 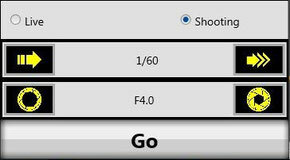 For other shutter systems, the speed / aperture settings are indicative only. The user must manuelly trigger the shutter - either with a remote release cable or with an application which comes with your shutter system.